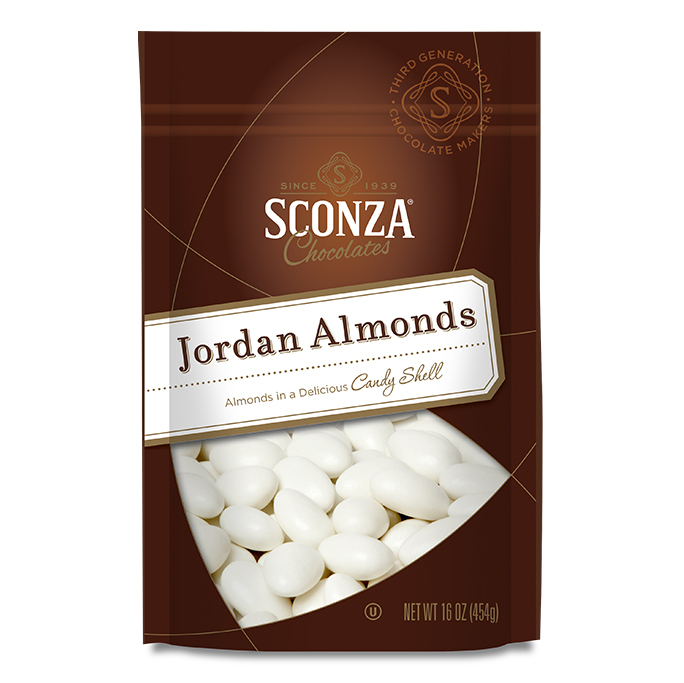 Roasted Almonds Covered in White Chocolate & Lemon Cream in a 24 oz Pouch. A perfect marriage of citrus and sweet—and an instant Sconza classic! Inspired by Italy’s lemon groves, these luscious confections were created to celebrate our parents’ 50th Anniversary. Available while supplies last. Roasted Almonds Covered in White Chocolate & Lemon Cream in a 24 oz Pouch. Excellent quality and taste not found anywhere else. They were great it really tasted like lemoncello went back to Costco to get more but they don’t carry them anymore. I absolutely just LOVE the Lemoncello!! The Lemoncello flavor has and always will be my absolute favorite!! I got a try a pack of these at work, and it was delicious! So I had to buy a pack of my own. For $18 dollars, you get a huuuuuuge bag. I gave it to my sister to try and she described it as a lemon chiffon cafe. I can honestly say this is my favorite chocolate covered almond candy! They are absolutely wonderful!! I will definitely be a loyal customer!! Simply the very best lemon and almond candy around. Can’t beat Sconza. Bought some for my girlfriend and her family out in Kansas .They love them ! Perfect arrival and great test! One of our favorite flavors!